Three days after U.S. defense chief James Mattis' remarks on the Diaoyu Islands in Tokyo, China conducted a new round of regular patrol in the territorial waters of the Diaoyu Islands on Monday, showing the world its firm will and determination to safeguard its national sovereignty. During his first Asia-Pacific debut as defense chief, the former four-star general of the U.S. Marine Corps said Friday that the U.S.-Japan mutual defense treaty applies to the Diaoyu Islands, which was criticized by the Chinese Foreign Ministry as "wrong remarks." Washington has long used the Diaoyu Islands as a fulcrum for an "off-shore balance," i.e., maneuvering Japan while pressuring China in East Asia, particularly under the administration of former U.S. President Barack Obama, who zealously promoted a "Pivot to Asia" strategy during the last eight years. However, the decaying U.S. credibility in East Asia as well as the rising tensions in the region should make it clear to the new president, Donald Trump, that his predecessor's "Pivot to Asia" strategy is a deal with no winners and meddling in the waters around the uninhabited islands for so-called "offshore balance" will never pay off. 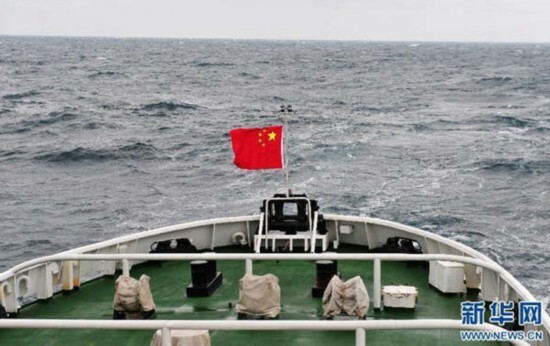 For one thing, interfering in the Diaoyu Islands issue only provokes China, as Beijing has made it crystal clear that there will be no bargaining over its core interests. The Diaoyu Island and its adjacent islets have been an inherent part of Chinese territory since ancient times, which is an unchangeable historical fact, and the Chinese government has repeatedly warned that territorial issues are within the domain of its core interests. If the lesson of Obama's administration in dealing with China offers any guide to Trump, the first and most important point should be ditching a zero-sum mentality, especially on the issue of the Diaoyu Islands. For another, by meddling in the Diaoyu Islands issue, Washington is actually risking turning the islands into a powder keg, thus making the issue more complicated and bringing instability to the region. Meddling in partners' core interests definitely hurts intimacy. Trump's business instinct should actually help him realize the simple fact that rivalry between partners hurts business. He and his cabinet members need to think twice about the issue of the Diaoyu Islands, and distance themselves from Obama's stance and approach.